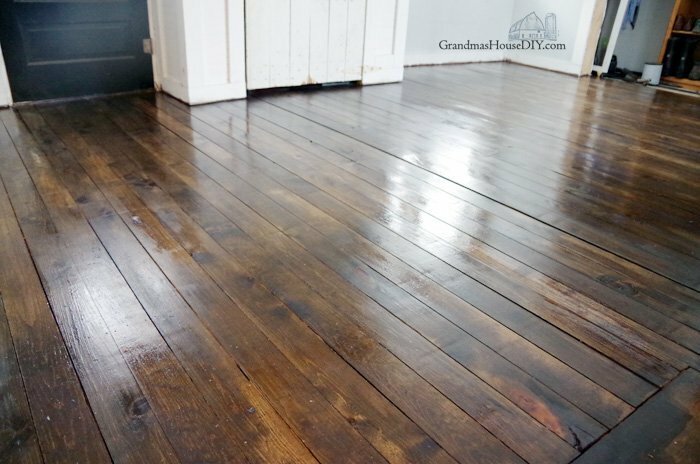 Inexpensive wood floor that looks like a million dollars - Four years later! 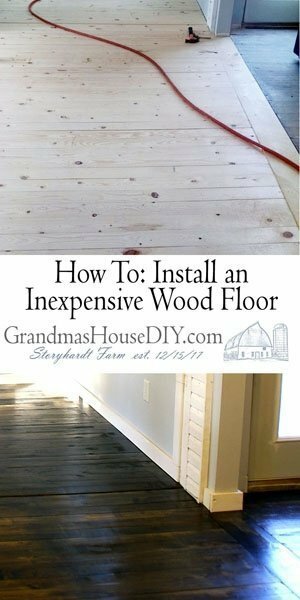 One of the most popular posts on my blog has been (and will probably always be) my DIY inexpensive wood floor. With budget waning back during the renovation in 2014 I needed a solution to cover the 250 square foot front entry of my home. I wanted it flush with my 100 year old kitchen floor and also the very same look. 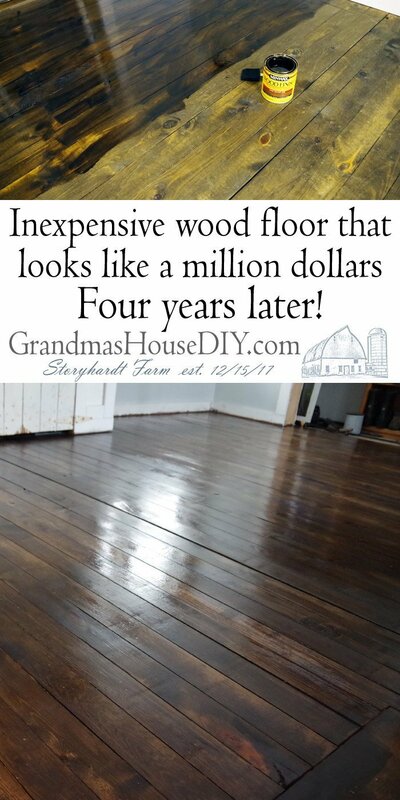 I knew I could never afford to actually match my original hardwoods (if that was even possible!) so I had to get creative! 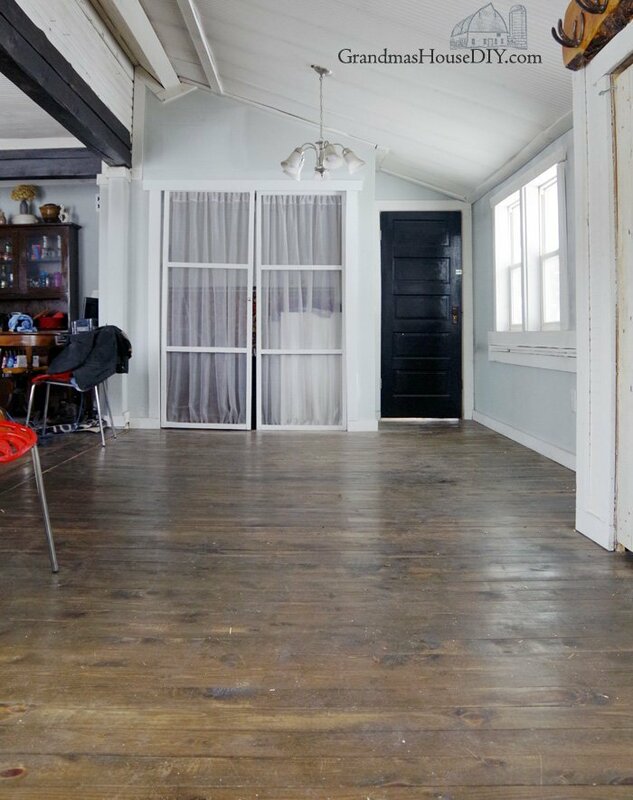 This portion of the home was actually an added-on screened in porch. 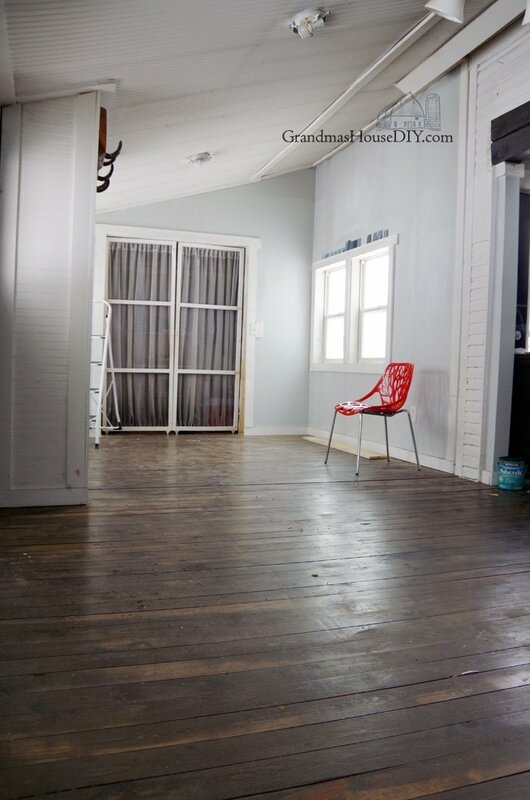 After my grandparents’ enclosed it decades ago they built the floor up with plywood and then laid down linoleum. 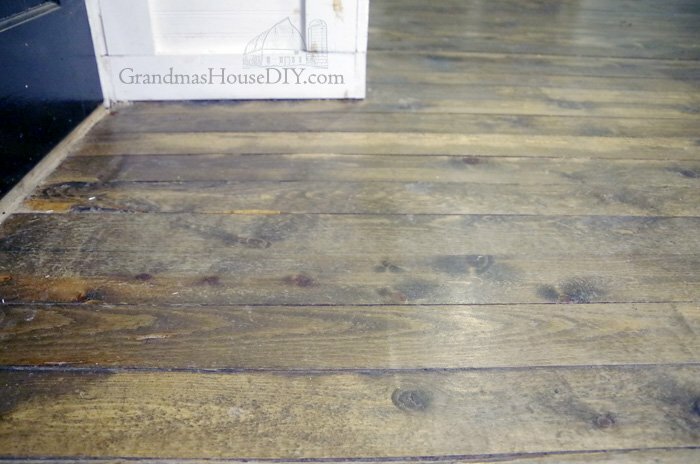 When I came in the plywood was disintegrating and the linoleum was unrecognizable. After ripping it all off I spent a lot of time just standing here and staring at the original porch floor. However, it was painted MANY times and was just enough of a difference from my kitchen floor to make the perfect tripping situation. Also it had a certain amount of water damage. What I wanted was my original hardwood to just come all the way throughout my entry. Problem was, I had no money lol But I had already purchased a truckload of pine 1x4s for trim so I was well acquainted with how cheap they were… I thought: why can’t I just use those? I purchased 12 foot long 1x4s so they would span the entire width of the room. My room is “roughly” 11 feet wide. 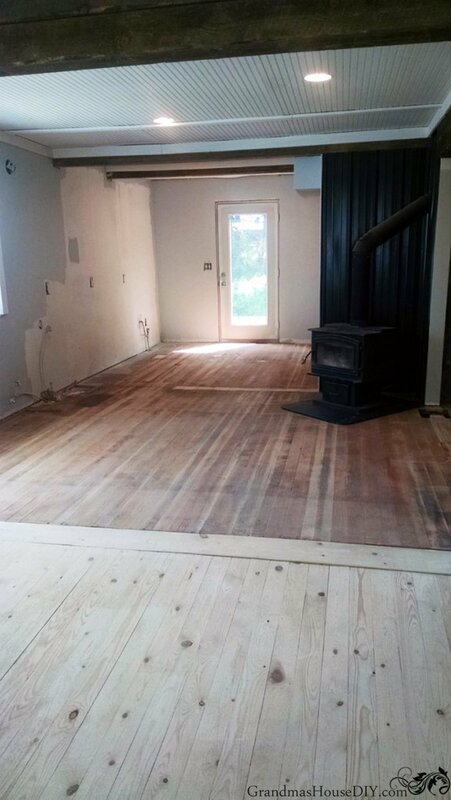 This is a 100 year old home, I had to measure and cut almost every board because almost none of them were exactly the same length lol. I also knew with Minnesota’s changing climate and humidity levels my boards would shrink a ton so, when I put them down with a brad nailer, I put them down as tight as possible together. 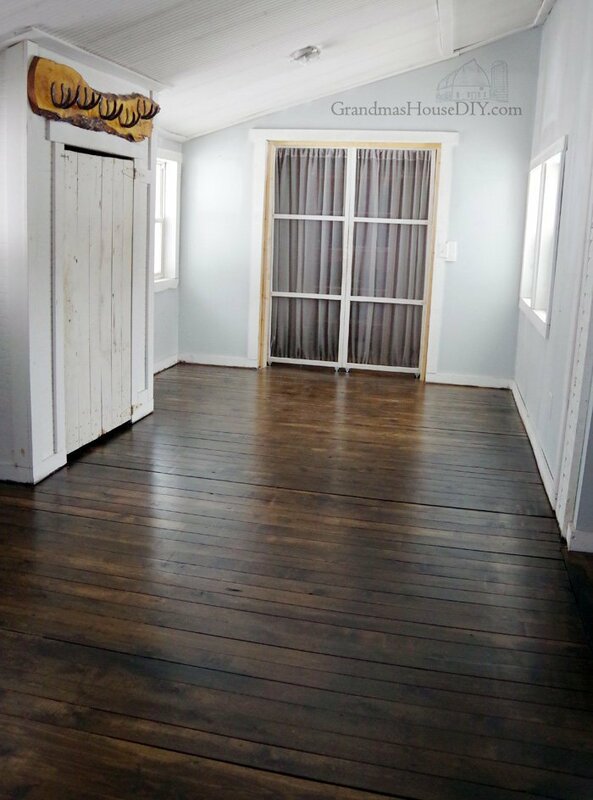 It would never perfectly match my original hardwoods so I decided the best course of action would be to put down a threshold board running between the floors. I think it was a great decision. It created the separation needed so the floors are not easily comparable side by side. At a glance no one notices that they’re actually very different. It is now four years later! With the help of my mom I moved all of my furniture out of the room and then I took these close ups so you can see exactly how they’ve worn (and shrunk) over time. The first pics (and close ups) are before I cleaned or anything and then the next set are after I swept, vacuumed and then I also took pics when the floors were still wet right after I mopped. NOTE: I know my walls and ceilings look AWFUL. This is what happens to a home with smoke damage because of the horrible wood stove I used to have. After this I will be fixing and painting out this entire room. Pretty darned good if you ask me! Remember, this is PINE, and pine is a very soft wood. My dining room chairs have little nubbons for feet and you can see the almost honeycomb effect in some places. Of course, I am the only one who has ever noticed lol. There are scrapes, scuffs etc. and at the front door the top coat has worn away and the finish has also started to wear. 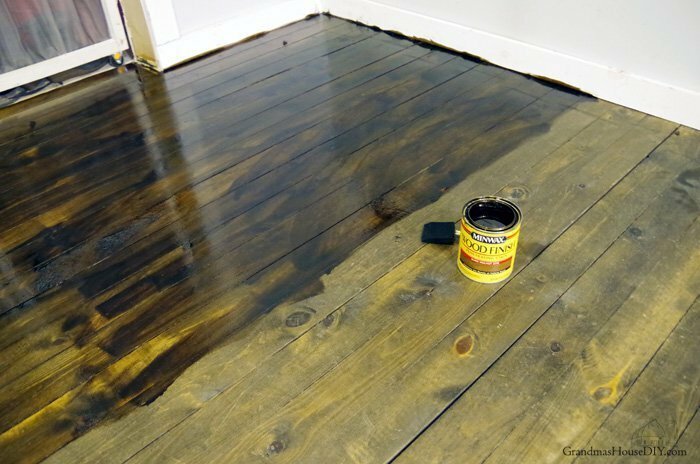 I may be the only chick in history who decided to use a water based sealer and not an oil based sealer on a floor – and only two coats at that! I am delighted with how well they have held up. And I was NOT happy about only getting to do two coats of poly but I was in a serious time crunch and even polycrylic still takes time to dry! I love however that they do not LOOK like they were covered in polyurethane. I am not a fan of the honeyed yellow sticky look of gym floors in my house. It is simply my preference and I am picky beyond all reason. There are other reasons I chose poly acrylic over an oil based sealer though. Because it is water based it does not off gas nor stink near so bad and it takes A LOT less time to dry. Also it is WAY easier to cleanup, any day I don’t have to wash my hands in mineral spirits is a good day. Did I feel like I was still kind of taking a risk? Honestly, I wasn’t real worried about it. Floors are meant to be walked on and “perfect” was the last thing I wanted. One of the most beautiful things about my original hardwoods is that they bear all fifty years of my family living here before me. 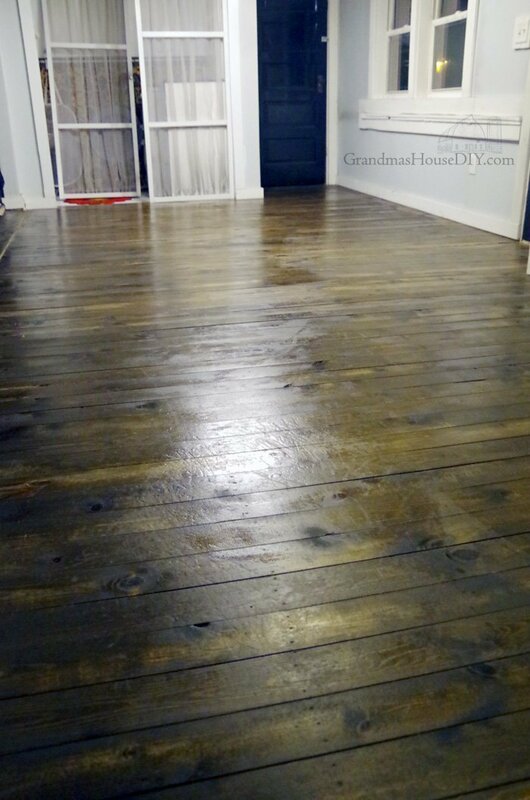 But I decided after four years I would give my inexpensive DIY wood floors a little bit of TLC. 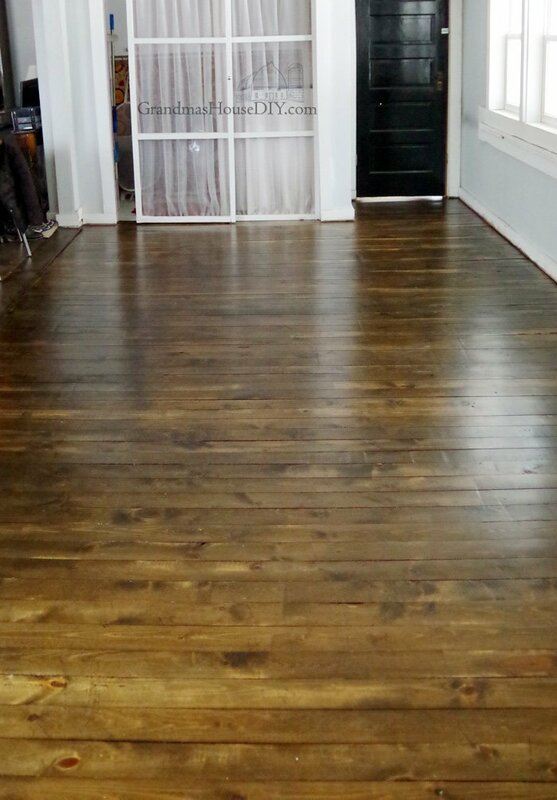 With the floors dry after mopping I grabbed my stain: Dark Walnut by Minwax. I applied it with a cheap black sponge brush. Every twenty minutes or so I went over what I had done with a towel and wiped off the excess stain. The last photo is right after I had wiped all excess stain away. What a BIG difference! 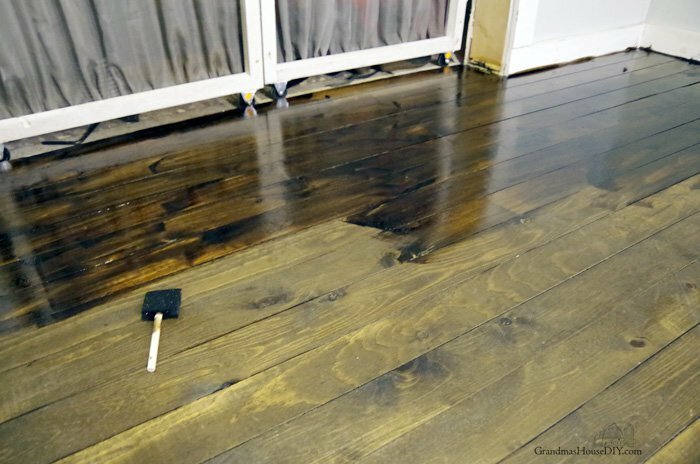 By doing the entire floor (not just “spot” staining) I guaranteed to not miss a single area. 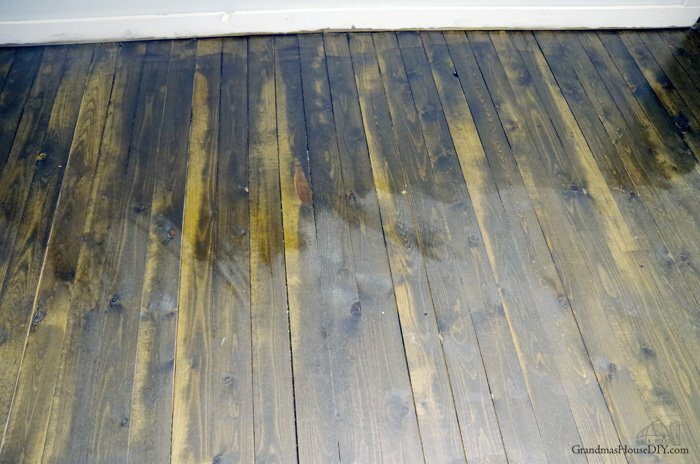 Also in the places where the boards separated a little bit, I was able to get the stain right down between them too. Not only did I make a “dangerous” choice of sealer I also made a very odd choice with the finish of my poly acrylic. I chose a satin finish (matte) and I will stand firm behind that decision. I did not need my floors so reflective that I could see my face in them! Or to be slippery in the winter! But my biggest reason was that with a non-shiny finish you cannot tell when it starts wearing down over time. This time I did four coats! I applied a coat of satin polycrylic (by Minwax) every night before bed and it was dry by morning. I used a large brush to apply it by hand and I definitely need to get myself some knee pads, good grief! 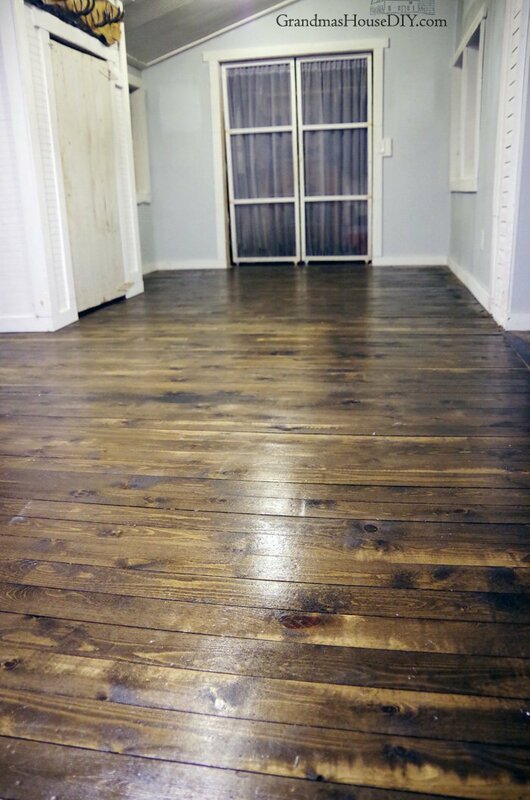 I used an ENTIRE GALLON of clear coat on these floors lol and I am really happy I did! These after photos were taken 36 hours after I put the clear coat down. I love how the satin poly makes them almost look velvety. The fact that I paid less than a $1 per square foot still amazes me to this day! To revamp them this time it cost me about $70 all together in poly, stain and brushes and I think they’ll give me a good ten years now without my having to do anything besides sweep and mop! Thank you Susan! Floors are such a huge undertaking compared to painting the walls lol. It took me a while to get up the gumption to do this and it was only because I was clearing the room out to paint it anyway! Glad I did it though, a change (or fix) in the flooring makes SUCH a huge difference! Of course now I’m babying them like crazy but their so pretty! Thank you Nancy! Happy Spring! Wow! 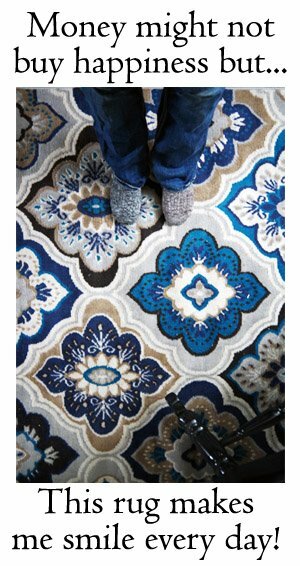 Your floor is beautiful! 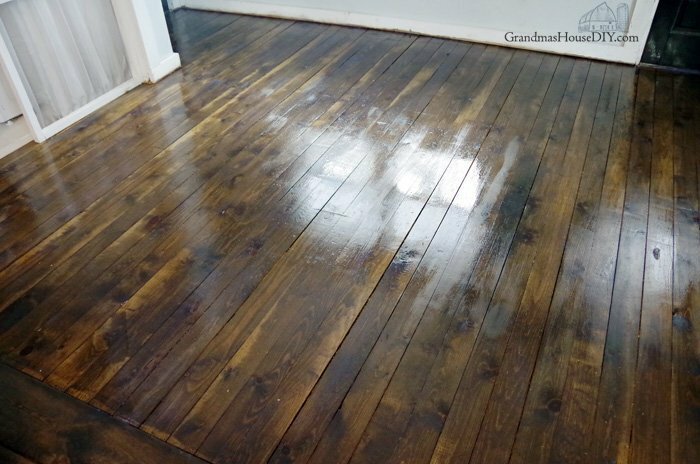 I love the rustic lived in look of old wood floors and this new area seems to fit right in with the rest of your home. Love following along on your DIY journey! Thank you so much Jenny! Happy Spring! Love your creativity and repurposing. Our grandmother would be so proud of your successes. Thank you Amanda, hope you had a lovely holiday! Nice job. I have to admit, refinishing the floors would scare me to death. I pulled up the carpeting in my dining room and that is as far as it got. Still looks horrible ten years later. Oh well. Life happens! This was extremely informative. 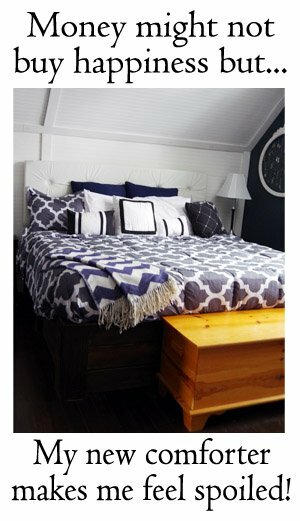 I have five bedroom floors I have to do by myself and with your great instructions I know I can do this! Hi Karen! I’ve actually been asked that question a few times now so I’ve done a little research. 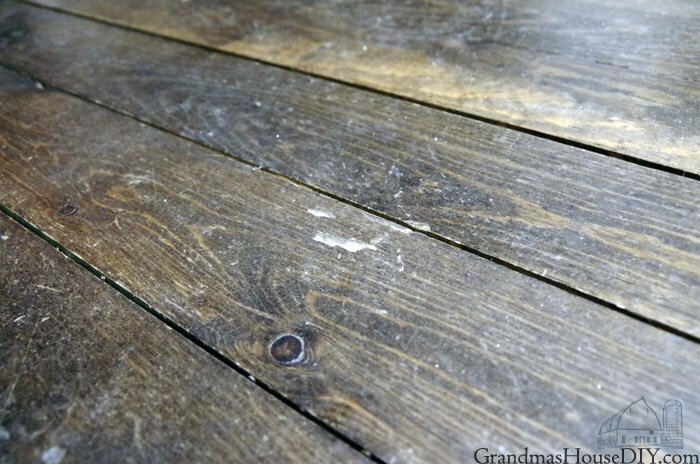 I was concerned about putting wood directly on concrete because concrete can be acidic and VERY hard on wood. 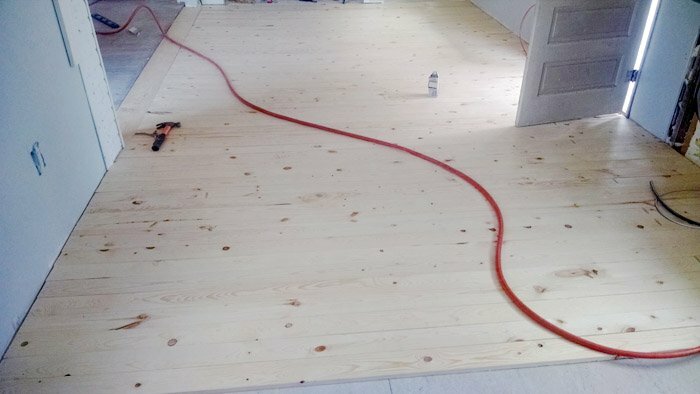 So, what other people have done (and what seems to be the overall recommended option) is to put down a water membrane over the concrete first and then cover it with a 1/2″ (at least) plywood subfloor. Then you can put your regular floor over that 🙂 Of course, though I’m not sure if its to code or if there is a code for this, you could just put your floor right over your water membrane! Good luck hon, I’m sure its gonna look amazing when you’re done!